My daughter bought this book for me, which was very thoughtful. I am one of those people who always seem to notice 11:11 on clocks, as do people close to me. And the frequency seems to be increasing, which is even weirder. Anyway, I bumped the book to the top of my list, figuring it was a sign that my daughter felt inspired to purchase it for me. At first, I was skeptic. The writing at the beginning seemed a little new agey, in the hokey sense. On top of that, it is somewhat dated, referring to the coming of the year 2012 and the end of the Mayan calendar as possible reasons for the increase in 11:11 time prompts (and we know that 2012 came and went with a big fizzle). But I stuck with the book, and I’m glad I did, because there is some interesting and thought-provoking material within the pages. Most of the book deals with number mysticism, sacred geometry, vibration, synchronicity, and the like, which are topics that fascinate me. And as a musician, I am very aware of the connection between numbers and music, which is touched on in this book. This science of number was discovered through the science, or art, of music. Harmony, another concept rife with mystical allusions, maintains a close relationship with resonance and vibration. This established correlation was thought to be quite simply the basis of the hidden order of the immediate, perceivable world, and behind it all were the numbers. One of the instruments I have learned is the sitar (although I am no Ravi Shankar). What excites me the most about this instrument and Indian music in general is the use of droning vibrations and resonance. In fact, what gives the sitar its unique sound are the sympathetic strings that lay beneath the main strings. These strings pick up the vibrations and then resonate. And something about that sound triggers a deep spiritual feeling. It is the transcendent power of music. One thing that is important to remember is that numbers are symbols, and symbols always mean more than what appears on the surface, which is why we need to pay attention when certain number sequences appear with unusual frequency. In a symbol there is concealment and yet revelation: here therefore, by silence and by speech acting together, comes a double significance. In the symbol proper; what we can call a symbol, there is ever, more or less distinctly and directly, some embodiment and revelation of the Infinite; the Infinite is made to blend itself with the Finite, to stand visible, and as it were, attainable there. By symbols, accordingly, is man guided and commanded, made happy, made wretched. In conclusion, the authors assert that the time prompt phenomenon is a wake-up call for people to turn away from their distractions and shift their awareness to something spiritual that is taking place. Something or someone is trying to get us to look away from the cell phones, “Crack Berries,” iPods, and MP3 players, computers, video games, and awful reality shows where we watch people play out their own lives for the camera, while ignoring the sheer potentiality of our own. It is truly incredible to think that the “someone” or “something” may be an internal influence originating within our own brains, or perhaps it is a subconscious poke in the side from some higher (or lower!) dimensional being. Remember this the next time your cell phone rings or your e-mail beeps. The “who” or “what” matters not—the fact that we are being prompted in the first place is the truly important facet of the equation. So I want to conclude this post with a true story about an 11:11 time prompt that happened to me. I was visiting family and my aunt told me that she keeps noticing 11:11 on the clock and she is convinced that it is the spirit of my mother (long deceased) communicating with her. 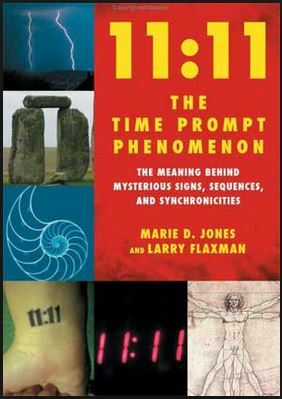 I found this strange, because I had also been experiencing 11:11 time prompts and wondering about them, and my aunt was very conservative and not one I would consider being open to mysticism. Anyway, later that evening, my cell phone rang in my pocket. I answered and there was no one on the line, and the time, 11:11. If you have any stories about time prompts, particularly 11:11, I would love to hear about them in the comment section below. So it’s New Year’s Day, 2016, and I needed to start the year off right with a blog post. So I skimmed through the tables of contents in a few of my poetry books, looking for something appropriate. This one by Frost caught my attention. Although the Millennium has passed without all the crazy predictions coming true, and without Y2K computer glitches causing a global economic disaster, I cannot help but wonder if there was still a subtle shift in human consciousness, the beginning of a new age. As Frost points out, the golden age of humanity is past. So what now? What is this “true Millennium”? I feel, personally, that it is the final stage in the evolution of human consciousness which is now beginning to take shape. As I look back at the year 2015, and as you do the same, I think we can all agree that the one word that sums things up is change, on myriad levels. Not all of this change has been pleasant or comfortable, but change seldom is. Change seems to be occurring more rapidly than it did in years past. We could debate the reasons for increased change, but we cannot deny it. And my feeling is that the causes are less important than the change itself, and for me, I need to embrace this change. While I will continue to weed my garden bed (which I see as a symbol for working on my own personal growth) and also continue annotating books (learning and seeking knowledge), I will also make sure I take time to pause and “watch this end de luxe.” I’m not sure what humanity’s final age will look like, or whether this is really is the final stage, but I do think we live in an incredibly amazing age, and I am endlessly awed by the things I see happening in the world around me every day. May the New Year bring you many blessings, and may you be a part of the change that is taking place. Years ago, my good friend Sherry commented that this was possibly the best book she had read. Since she is someone whose opinions I value, I made a mental note. It took me a while, but I finally got around to reading it, and while it might not be the best book I’ve read, it was damn good! To very briefly summarize the story (and not give any spoilers), it is about a group of college students who are focusing their studies on classicism. They are isolated from the rest of the student body and their studies are led by a single professor who is very enigmatic. One evening, some of the students decide to perform an actual Bacchanal, which has unexpected and problematic results. This starts a chain of events that is worthy of a Greek tragedy. Ms. Tartt’s writing is impeccable. She possesses a tremendous command of language and weaves an intricate and engaging tale. It’s a long book, but there was never a moment that I found my interest waning. I was captivated from the opening pages right up until the end. The book is written in first person narrative from the perspective of Richard Papen. Early in the book, he expresses his fascination with his studies. It is a feeling I could completely relate to, that sense of wonder and discovery, where you begin to see meaning and symbolism in everything around you. There are many deep passages in this book, but one that stands out for me concerns the struggle between the logical and the illogical, as embodied by the Romans. During one of the lessons, Julian (the enigmatic professor) elaborates on this. I have met many people over the years who profess to be “new age seekers.” Many of these people take the view that everything spiritual is wonderful and loving. I have never been one of those. There is a light and a dark side to everything, even the spiritual. It’s part of the natural balance. To deny the existence of one is a grave mistake indeed. I would never presume to have the wisdom to judge things as either good or evil, but I recognize that there are positive and negative energies, for lack of a better description, and one must learn to interact with both. Another thing about this passage that is spot on is how people can be both frightened and attracted to something simultaneously. We see it still today and I suspect that it is this innate part of humans that is the root of the polarization we are seeing in society and politics. In order to defend our paradigms, we feel the need to attack whoever embodies the opposite, and the most fervent are often those who secretly long for that which they oppose. Of course, though, for me, it was the description of the mystical experience achieved during the Bacchanal that was the most moving part of the book. 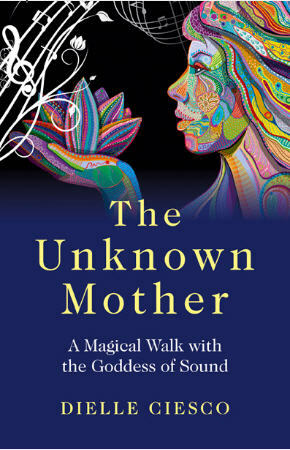 Capturing the essence of a mystical experience in mere words is daunting, to say the least. The description here, although fiction, is powerful. That is the dark side of the mystical experience: how can one return to pallid, ordinary existence after experiencing divine ecstasy? It is easy to see why people go down that rabbit hole and never come back. As I said earlier, this book is excellent. I highly recommend it. It is well-written, thought-provoking, and the story itself is compelling. 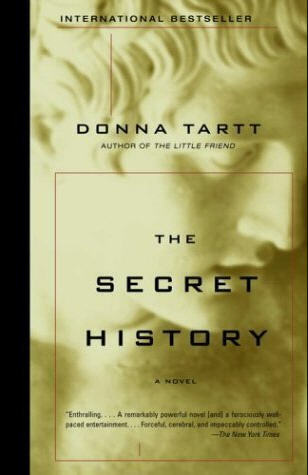 I know that Ms. Tartt has written a couple other books since this one. I feel pretty certain that I will be reading more of her works in the future.